The surgical time involved is shorter, resulting in less swelling, less bruising, and faster recovery – typically a few days to a week. The results, both powerful and subtle, are especially noticeable for the jowls and the marionette lines. The aging face is characterized by changes in the skin as well as underlying structures and connective tissue. As the skin loses elasticity over time, loose excess skin can start to sag, giving the face an aged appearance. jowls along the jaw line can become exaggerated, making the face appear square. Excess skin and slack underlying muscle can also form two “bands” along the neck, which can distort the appearance of the underside of the chin and neck. Laxity of the cheeks, as well as fat loss in the mid-face can also contribute to an aging appearance. As a facial cosmetic surgery, the facelift dramatically reduces these visible signs of aging. In some cases, depending on the needs of the patient, cheek or chin implants may be recommended to restore diminished facial volume and enhance the results of facelift. The term rhytidectomy is formed from the Latin words rhytid (wrinkle) and ectomy (removal of). A facelift is basically surgery to remove lax skin, which has resulted from age, heredity, or environmental factors. A great deal of the aging process relates to your tissues and what you do to care for them. And since we age at different rates, there is no “right” age for a facelift. The appropriate time to have a consultation is when you no longer like what the mirror tells you. This may be in your 30s or your 80s. A facelift is considered to be a major operative procedure. Like any extensive surgical procedure, operative incisions and complicated surgical stitching is required. Contrary to some current thinking, it is not a simple procedure. Neither is it possible to remove all folds or eliminate all wrinkles of the face, regardless of the treatment. Sarasota Surgical Arts understands such a difficult plastic surgery procedure requires precise attention to detail. Your surgeon’s judgment is crucial; he will remove the skin which he deems safe and suitable for your facial contour. After the procedure, skin type and patient age are important factors in the ultimate result. The facelift can do more than improve the appearance of facial skin. It can also be a tremendous boost to a person’s self-esteem. Dr. Sessa will evaluate the condition of your skin and may discuss alternate or additional treatments with you. 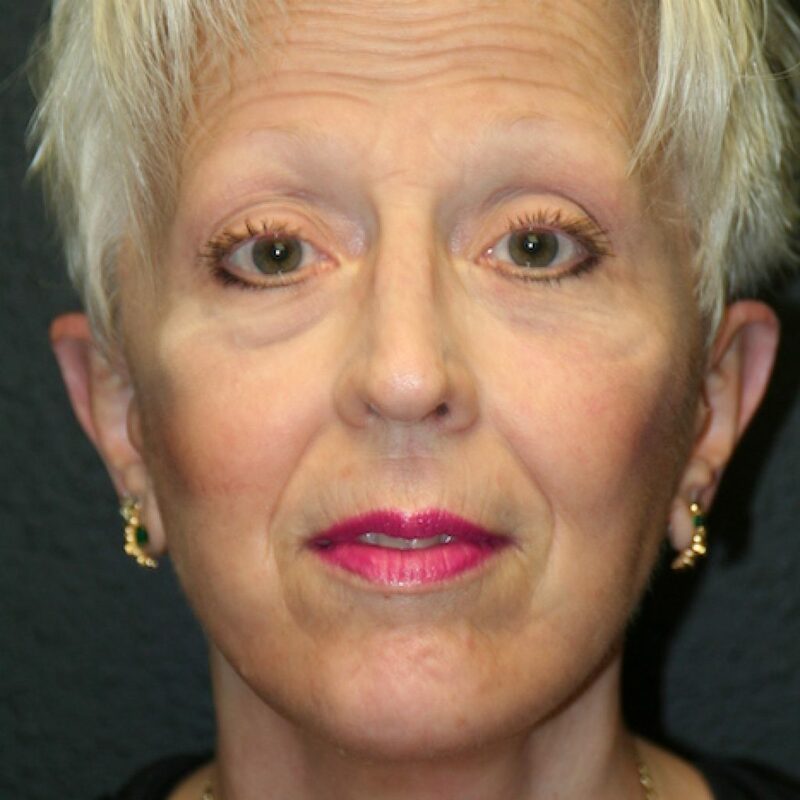 In combination with a facelift, other procedures may be performed including eyelid surgery, forehead lift, facial implants, partial chemical peel, laser resurfacing, botulinum toxin, Cosmetic, lip enhancement, chin augmentation, nose reshaping or liposuction. It is important for you to have realistic expectations. People commonly want to know how long it will last. This is impossible to state, as there are many factors involved, such as the amount of skin removed; age and condition of the patient; skin type, condition, and texture; amount of previous sun and wind exposure, and healing ability. Even though the excess skin and wrinkles have been removed, skin aging continues after the operation. On rare occasions, a minor secondary procedure may be advisable. The operation does not stop the aging process. If you are a smoker, you will be instructed to stop smoking at least four weeks prior to surgery. Smoking can delay healing and cause complications. Prior to the operation, you are instructed to shampoo with surgical soap. This is done at home the night before surgery, and again at our office on the morning of surgery. You may be requested to take some medicines before your surgery. Do not take aspirin or aspirin-containing compounds for two weeks before or two weeks after your surgery. At the first sign of hives or rash, discontinue all medication and call your physician immediately. 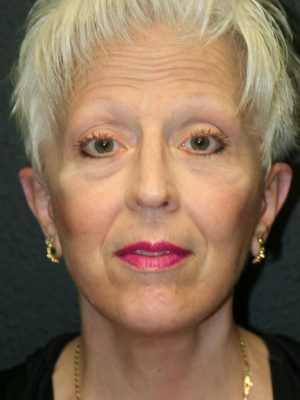 A facelift may be performed under general or IV sedation. The operation is performed on an out-patient basis and you may return home following the procedure. Within the first week you may experience minimal discomfort, but most patients can and should resume normal activities. Be sure to follow Dr. Sessa’s advice to ensure a satisfactory outcome. Dr. Sessa begins the incision in the area of the temple hair, just above and in front of the ear, and then continues around the lobe, circling the ear before returning to the point of origin in the scalp. The skin is raised outward before the doctor repositions and tightens the underlying muscle and connective tissue. Some fat may be removed, as well as excess skin. For men, the incision is aligned to accommodate the natural beard lines. In all cases, the incision is placed where it will fall in a natural crease of the skin for camouflage. After trimming the excess skin, the doctor closes the incisions with fine sutures and/or metal clips, which permit surgery without shaving hair from the incision site. Depending on the extent of the surgery, the process can take from two to four hours. When the procedure is performed with a combination of mild sedatives, local anesthesia, and a mild intravenous anesthesia, the patient will experience little discomfort. Some surgeons prefer to use general anesthesia for facelifts. Following the surgery, the surgeon will apply a dressing to protect the entire area where the incisions have been made. Immediately after the cosmetic surgery, bandages are placed about the head and face for 24 hours. A scarf may be worn to cover stitches until they are removed. Keep bandages and incisions dry until sutures are removed. The doctor will let you know when you can bathe or shower. Patients can expect some swelling of the face and eyelids; some discoloration is common with any type of facial surgery. This is most notable on the second and third days and diminishes in approximately 12 days. This also depends on your type of skin, age and healing ability. Dr. Sessa will prescribe pain medication. Take all medication exactly as ordered. You are encouraged to report to the doctor any significant pain not readily relieved with pain pills or if minor bleeding, redness or other drainage is noted around the incisions. It is not uncommon to feel some postoperative depression after major surgery. Makeup may be applied over the skin of the face up to the edge of the surgical scars approximately 7 to 14 days following surgery. No hair coloring or stripping should be performed until the doctor gives permission. Other coiffure procedures may be carried out approximately two weeks following surgery. Do not allow anyone to pull on your hair or roughly massage the scalp. A hair dryer, if used, should be set at medium to cool heat. This is important if any numbness, especially around the ears or temples, is noted. Do not wear earrings until sensation has returned to your earlobes. Social activities may be temporarily limited. Strenuous exercise should be avoided for four to six weeks. Post-surgical questions should be directed to Dr. Sessa. It is unwise for you to accept advice from individuals unfamiliar with your specific operation. Sessa if any medical problems arise. Remember that healing is a gradual process and it may be several weeks before you will begin to see the new you. After the healing period is complete, a facelift can make you look younger, and improve your self-confidence. There are risks in every surgical procedure and these will be thoroughly discussed with you prior to surgery. This procedure will result in some scarring. Dr. Sessa will make every reasonable effort to make these scars as inconspicuous as possible. Some blood may accumulate under the skin. Dr. Sessa can remove this. A minor crust may appear on the incisions; however, this is a temporary problem. Slight numbness may be noted around the ears, cheeks and incision areas. This, also, should be temporary. Infection and areas of skin or hair loss are possible, but uncommon. Nerve damage is a rare occurrence. Today, there are new innovations and techniques that help to make the final results safer, longer lasting and appear more natural. I love my Facelift. I feel so confident!